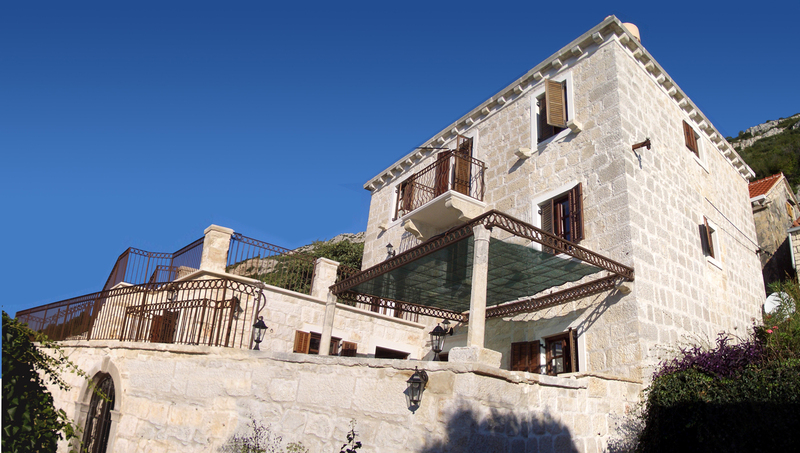 Welcome to The Captain’s House, a fabulous 300 year old stone villa on the Pelješac Peninsula, Dalmatia, Croatia. The Captain’s House has been recently restored by local craftsmen to its original splendour, with stunning panoramic sea and island views and close to water-front bars and seafood restaurants. Unparalleled panorama in a beautifully secluded but superbly renovated house - We certainly felt the magic!! –Koszeghy & Dietz families. To see if our house is available, click here. By Air – Dubrovnik and Split are served daily from London Gatwick (British Airways, Easyjet and Croatia Airlines), and from Manchester (Croatia Airlines). Easyjet flies from Gatwick to Split and Flybe from Birmingham to Dubrovnik. By Car – Dubvrovnik Airport is a 2 hour drive. And what a drive! For the first hour you follow the beautiful Adriatic, then you turn on to the Peljesac Peninsula, passing through the heart of Croatia’s wine region and along the coast on one side of the Peninsula then the other before a spectacular panorama of Orebic and Korcula. Split Airport is a 3½ hour drive although this drive can be broken by taking the 50 minute ferry from Ploče to Trapanj, for ferry times click here. By Mini-Bus – We can arrange for a mini-bus with a driver to collect you and your party at the airport and drop you off when you need to return.